Free Food Rights In The U.S. It is ridiculous that I even have to make a post about things like this, but our rights as citizens have again been violated in a blatantly unconstitutional way. I have recently read a few articles on various laws and regulations regarding water and food usage for farmers. Just last year, in Oregon, a man was sentenced to 30 days in jail and a fine of 1,500$. 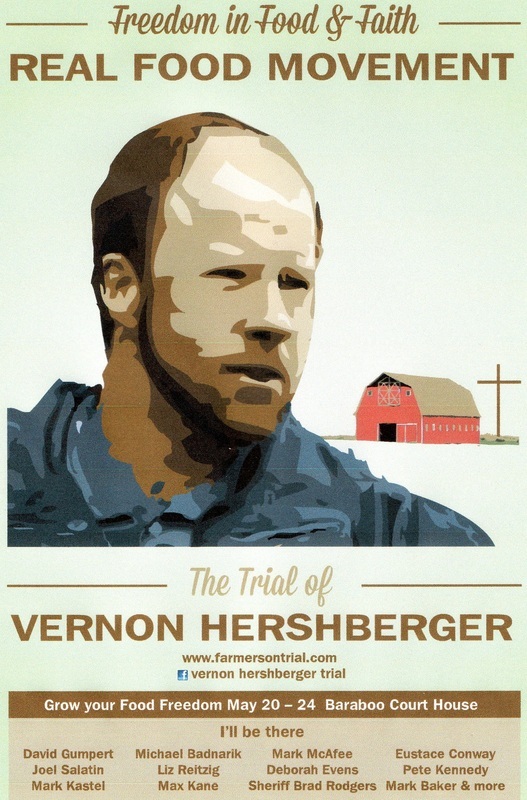 Monsanto has been buying out major seed supplies and beefing them up and now we have Vernon Hershberger who might go to jail for selling raw milk and other produce to private buyers. of which belonged to members of the Hershberger’s private buying club, and some of which belonged to the Hershberger family.Mr. Hershberger then faced a serious dilemma: allow the wholesome, perishable food to go to waste while he engaged in lengthy administrative wrangling with DATCP or allow the rightful owners of the property to take it from the coolers. Mr. Hershberger followed his conscience and allowed the owners to retrieve their food. Vernon Hershberger’s religious principles prevented him from standing by, while nutritious food rotted.